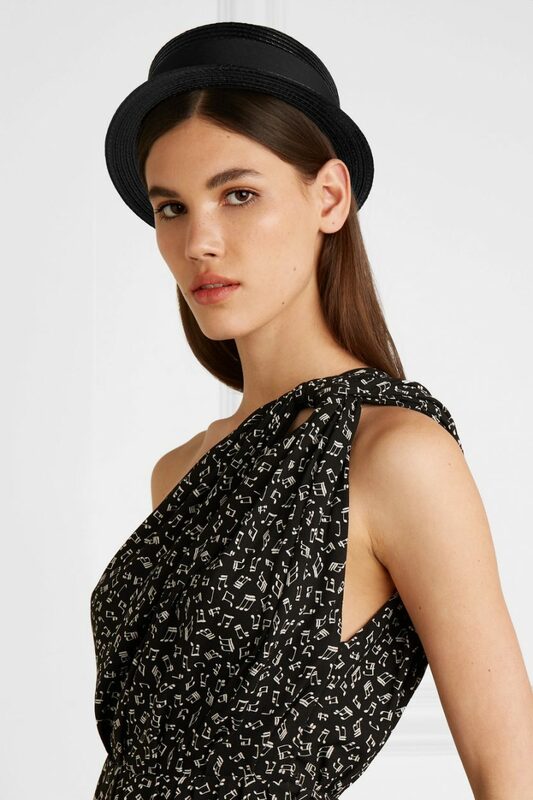 This boater hat was worn throughout Saint Laurent’s Spring ’19 show, and it’s a style you’d have seen while people-watching down Paris’ Rive Gauche a few decades ago. 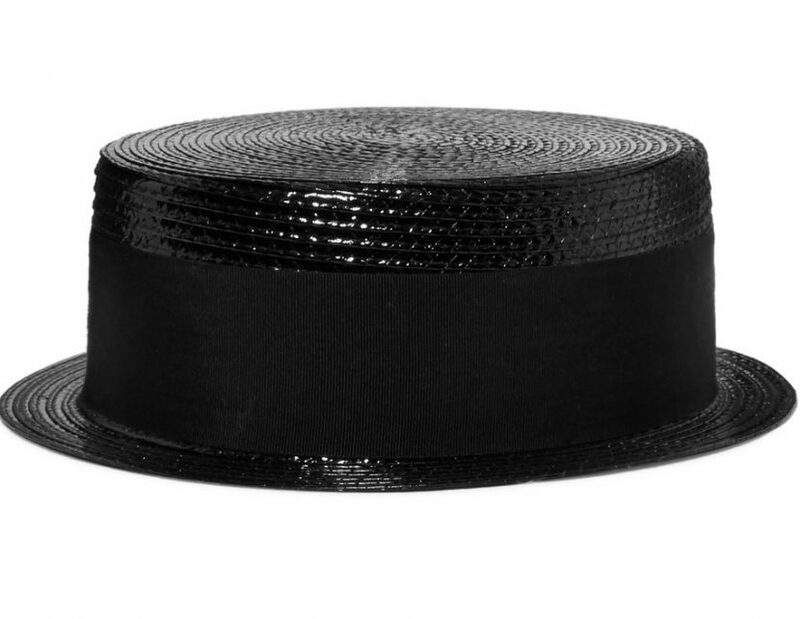 Trimmed with a cotton-faille ribbon, it’s woven from lightweight faux raffia that’s been coated for a glossy finish. Wear it perched on the back of your head.